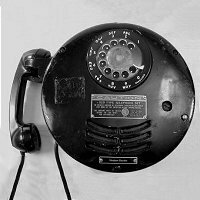 the American Telephone & Telegraph Company and the Bell System. 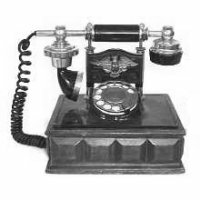 This desk set was the first free-standing dial telephone and was introduced in 1919. 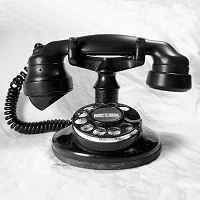 It began an era of rotary dial telephone sets which would span the rest of the 20th century. 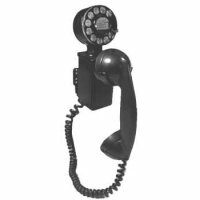 In 1927, Western Electric produced its first model to use a handset, making it easy for the subscriber to use the telephone while keeping a hand free for taking notes or performing other tasks. The A1 was built upon the base of the 51AL candlestick. The post was shortened and a cradle with modified switch hook was added. 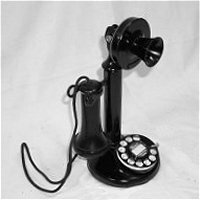 This round-base phone was introduced later in 1927 and was the first model designed specifically to use a handset. More accurately, the designation "102" referred to the electrical configuration of the majority of these sets and the round-base form was called a B1. Introduced in 1930, the "202" is identified by its graceful oval base. 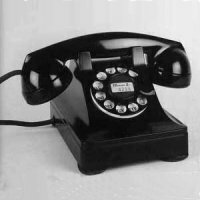 The E1 handset remained virtually unchanged with its distinctive "spit cup" to focus the speaker's voice into the transmitter. The designation "202" actually referred to the electrical configuration of the majority of these sets and the oval-base shape was called a D1. 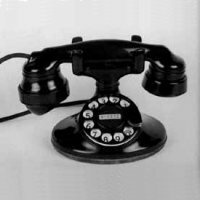 In 1937, Western Electric and the Bell System introduced the 302, created by the renowned industrial designer, Henry Dreyfuss. The shell of the 302 was intended to be cast out of metal. 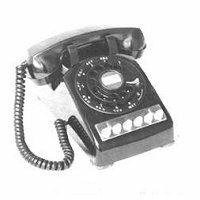 However, in 1941, the critical war-time need for metal caused Western Electric to retool to make the 302 out of molded thermoplastic. 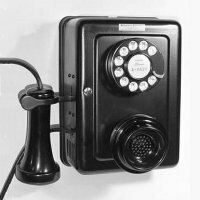 The 302 was the first telephone containing all of its circuitry within the base and not requiring a separately mounted apparatus box for the ringer. Following World War II, Henry Drefuss created a new and more rounded form for the Bell System's basic dial telephone. This was a design which would take advantage of plastic technology. 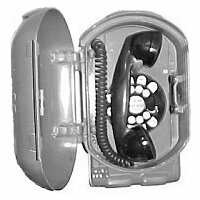 Dreyfuss' design was for the Model 500 (see below), but in response to huge post-war demand for phones, Western Electric created a replacement housing for refurbishing its existing inventory of Model 302 sets to make them look much like the new Model 500. This transitional set, dubbed the 5302, had the smaller footprint of the Model 302 because it was really just a 302 with a new shell. Most 5302 sets retained the F1 style handset from the underlying 302. 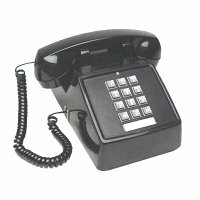 First introduced in 1949, the Model 500 was to become the standard Bell System telephone for well over a generation and the most widely produced dial telephone ever. Like the 5302, the dial markings were placed outside of the fingerwheel holes for improved legibility. The slightly larger base provided room inside the 500 for an adjustable bell ringer and enhanced electronics. 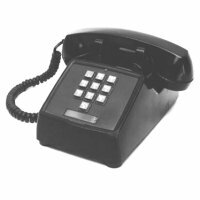 The more angular G1 handset design replaced the curves of the 1930-looking F1. 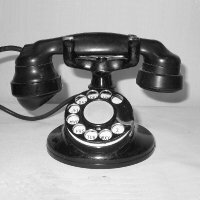 Since the 1930s, Western Electric had manufactured telephone sets in colors. However, only the most affluent were willing to pay the substantial extra monthly charge for having a phone that wasn't basic black. In the early 1950s, the Bell System began to promote the new 500 sets in "designer colors" for an affordable one-time non-recurring charge at the time of installation. The basic black 302 was quickly upstaged by 500 sets in lemon yellow, harvest gold, chocolate brown, rose pink, cherry red, lime green, avocado, turquoise and more than a dozen other colors. 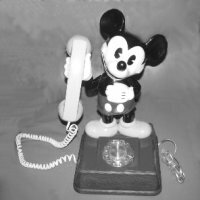 Prior to the introduction of the Princess phone in 1959, most households had only one telephone set, usually located in the living room or other central location. 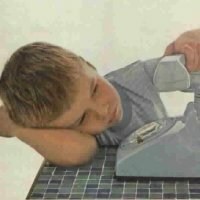 The princess phone's small size and lighted dial were designed to make attractive as a bedside extension and the Bell System marketed it as such. The original Model 701 of the Princess did not contain an internal ringer. 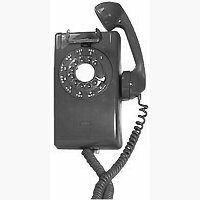 Western Electric produced a small baseboard mounted ringer for use with the phone. A plug-in transformer provided low voltage to power the dial lamp. 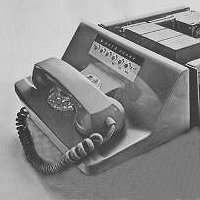 The later Model 702 of the Princess would have a self-contained ringer. 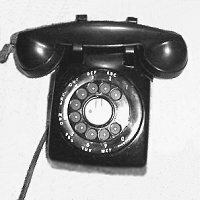 The last standard rotary-dial telephone to be manufactured by Western Electric was the Trimline, introduced in 1965. 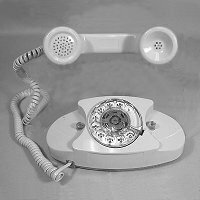 The Trimline's dial was located in the handset itself with the ringer and electronics within the telephone's base. The base was made in two variations: one for a desk set designated as Model 220-AD, and the other for wall mounting, designated as Model 220-AC. 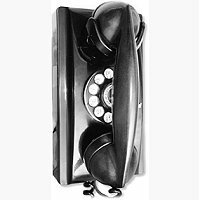 There were a number of other common and not-so-common dial telephones made by Western Electric during this period. 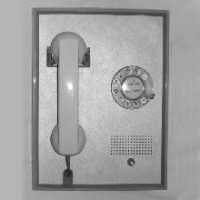 They included several wall-mounted phones like the 653, 354 and 554, and a number of multi-line "key sets" for business use. There were also many variants such as the Model 500-U which was a 500-set with a light for the dial. There were compact desk mounted Space Saver® 211 sets. There were specialized sets such as those made with explosion-proof housings for use in mines, grain elevators or other flammable environments. There were weatherproof phones for exterior use. 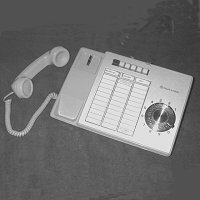 In the 1960s and 70s, the Bell System offered mobile radio-telephone service using dial sets manufactured by Motorola. 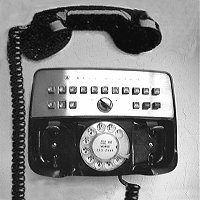 Western Electric produced dial-equipped Dataphone® sets for transmitting data from computer to computer over circuit-switched telephone lines. And, of course, there were many types of payphones. 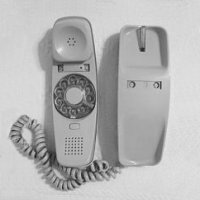 In 1974, the Bell System introduced a wide range of Design LineTM telephones which were marketed through retail Phone Center Stores. 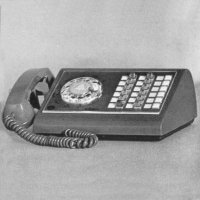 Although most of these phones were made for modern Touch-ToneTM service, a number of them were also produced in rotary dial versions for subscribers whose lines were not equipped for Touch-ToneTM service. 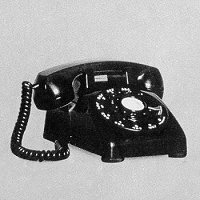 For the first time in its history, the Bell System contracted with third-party manufacturers in addition to Western Electric to supply some of these phones. Today, it's unusual to see a rotary dial still in use. 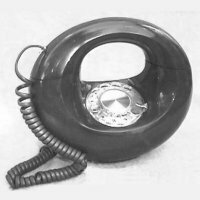 There is a generation growing up which has never made a phone call by turning the finger-wheel of a rotary dial telephone. Images come from a number of public and private sources and have been modified and reformatted for the purpose of this page. Copyright © 2004 by William Lee Roberts. All rights reserved.